On the basis of review of domestic and foreign research about psychological capital and entrepre-neurial intentions of postgraduate students, this paper explores the relationship between psy-chological capital and entrepreneurial intention of postgraduate. 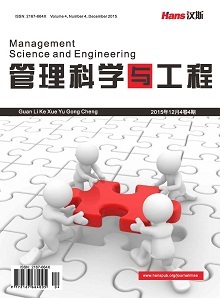 Using Zhang Shuang’s formal questionnaire of postgraduate entrepreneurial psychological capital, this paper investigates the status and characteristics of the psychological capital of postgraduate students. The results show that: 1) There is no significant difference in gender, major and grade of the psychological capital of postgraduate students. But in respect of tenacity and self-confidence and good communication, students from different regions have significant differences. 2) There is a significant positive cor-relation between postgraduate entrepreneurial intention and psychological capital including transactional psychological capital, interpersonal psychological capital and their subdimensions. Tenacity and self-confidence, optimism and self-confidence, sincere dedication have a significant positive predictive effect on entrepreneurial intention. In particular, the psychological capital of postgraduate students as the core construct is the most predictive factor. Kanungo, R.N. (1998) Entrepreneurship and Innovation: Models for Development. NewDelhi, Sage. Adaptation of the Short Version of the Psychological Capital Ques-tionnaire (PCQ-12) into Spanish/Adaptación al español de la versión reducida del Cuestionario de Capital Psicológico (PCQ-12). 侯二秀, 陈树文, 长青. 企业知识员工心理资本维度构建与测量[J]. 管理评论, 2013, 25(2): 115-125. 柯江林, 孙健敏, 李永瑞. 心理资本: 本土量表的开发及中西比较[J]. 心理学报, 2009, 41(9): 875-888. 刘素婷. 大学生创业心理资本培育与开发策略[J]. 创新与创业教育, 2015(2): 30-32. 高娜, 江波. 创业心理资本的构成要素及提升策略[J]. 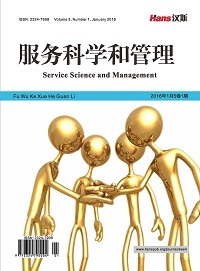 太原师范学院学报(社会科学版), 2013, 12(5): 157-160. 张爽. 研究生创业心理资本的研究[D]: [硕士学位论文]. 重庆: 重庆师范大学, 2017. 柯江林, 冯静颖, 邓建光. 大学生心理资本对创业意向影响的实证研究[J]. 青年研究, 2013(3): 40-49. 王瑾. 大学生创业心理资本的特点及其与创业意向的关系研究[D]: [硕士学位论文]. 北京: 中国地质大学, 2013. Önay, I., Ayas, S., Uğurlu, Ö. and Önay, M. (2018) Psikolojik Sermaye ile Girişimcilik Niyeti İlişkisi. Gazi Journal of Economics & Business, 3, 55-66. 吉小燕, 刘爱军. 大学生创业意愿的影响因素研究[J]. 高教探索, 2016(9): 113-120. 解蕴慧, 张一弛, 高萌萌. 谁会成为创业者?——主动性人格及社会资本对创业意愿的影响[J]. 南京大学学报(哲学, 人文科学, 社会科学), 2013, 50(2): 148-156.